Following the invitation from DRC Prime Minister office to promote the national projects in Agriculture development, The New Agro-industrial and Presidential Domain of N’Sele (NOUVEAU DAIPN) presented its fresh and local products to the Congolese people between the 22nd to the 24th of October 2016. Several tons of chickens, eggs and vegetables were sold during this innovative event at optimal prices. The slogan of NOUVEAU DAIPN is : « Manger frais, Manger Congolais! 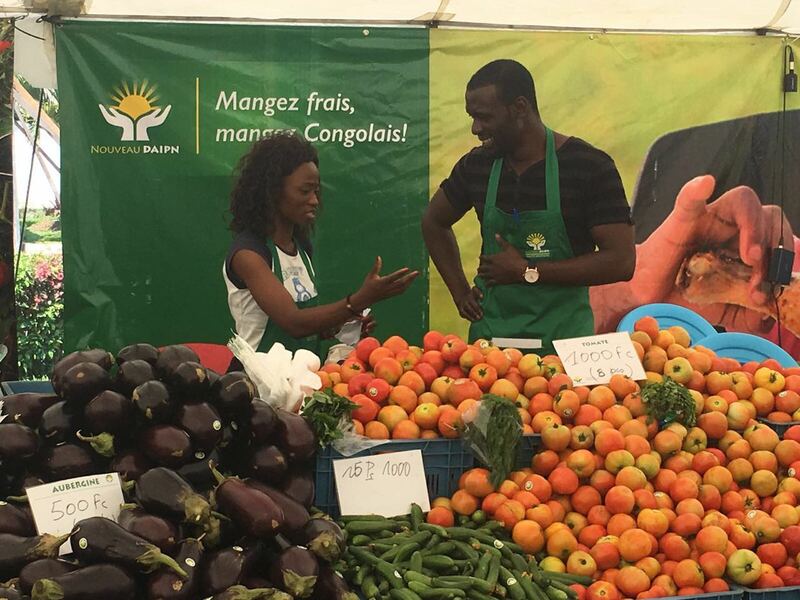 » (Eat fresh, Eat Congolese) and during these 3 days of presentations, the citizens realized the difference in quality when the produce is local and produced using the best technology and know-how. Due to the success of this exhibition and by request of the population, NOUVEAU DAIPN should restart production in the coming weeks in order to offer the best produce at the best prices, directly to the local market. The “NOUVEAU DAIPN” is a modern farm project initiated by its Excellency the President of DRC, Joseph Kabila Kabange, together with LR GROUP. Inaugurated in May 2013, the NOUVEAU DAIPN supplies the local Kinshasa market annually with up to 15000 tons of Chicken, 25 million eggs, 1500 tons of vegetables and 1500 tons of fruits. In the near future, NOUVEAU DAIPN will also be able to offer 300 tons of fish and 1200 tons of pork to the local market. The 3000 hectares of the NOUVEAU DAIPN are now blooming with produce grown using modern agro industrial methods at international standards. Over 500 local employees were trained by LR Group in the best modern techniques. As a result the entire country enjoys the impact of this important project, a reduced import and the increase of food security in the country.